There are some Mother's Day gifts that never go out of style. A bouquet of flowers for Grandma, a card for Aunt Joan and jewelry for... well, pretty much any lucky woman. This time of year all sorts of gold, diamond and birthstone jewelry appears in the ads and online and it is hard to know where to look for high quality and a commitment to craftsmanship... until you discover the ultimate destination for all of your Mother's Day jewelry needs in the form of Galaxy Gold. 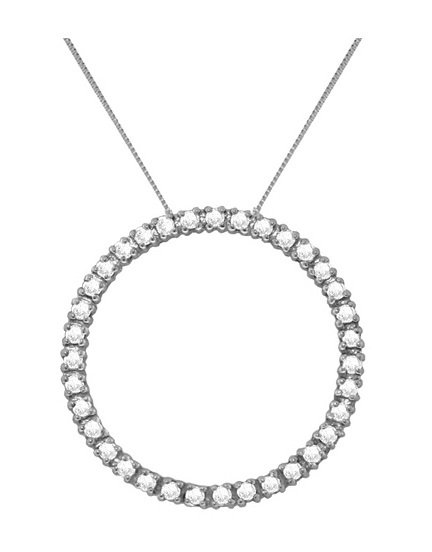 For instance, how about a 14k Solid Gold 18" Necklace with Circle of Love Diamond Pendant for Mom this year? 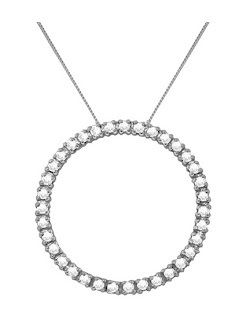 This simple yet beautiful pendant retails for $1,283, quite the hefty price tag. But on Galaxy Gold, it is only $427.67, a savings of $855.33! That's a major difference! 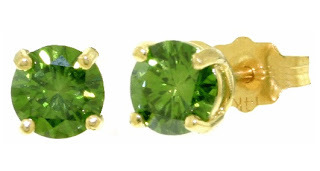 Or, to add some great color and shine to any outfit, how about a pair of 14k Solid Gold 1.0ct Genuine Green Diamond Stud Earrings? Regular price: $3,619.08. From Galaxy Gold? $1,206.36! Is there someone out there that wouldn't want to save $2,412.72 on their purchase of these gorgeous earrings? What a great way to stand out with green diamonds! With a 30 day money back guarantee combined with a lifetime quality guarantee, you know that your jewelry from Galaxy Gold is going to withstand years of being cherished. Their bold, classical and whimsical lines of jewelry will be sure to be treasured and worn often, and, just in time for Mother's Day, Galaxy Gold is offering affordable shipping rates to receive their amazing products around the world. But that's not all! Enter the discount code B2011M and receive another 15% off of your purchase, making these prices even lower than rock-bottom. Hurry though, this Mother's Day sale ends on May 15, 2011. What about you? What jewelry would you love to receive for Mother's Day? Yes this mom would love to have some jewelry for mom's day. They have some cute designs. I think I must be the only woman in the world that doesn't want jewelry for a gift. I think it's beautiful, but because of sensory issues, I can't wear for very long.